Big businesses are often criticized for trumpeting their environmental, social and governance credentials while providing little substance to back up those claims. It is interesting, then, to see how much effort companies are willing to invest when there is a clear and tangible threat to their operations. Case in point is the effort by major brewers to secure their most essential commodity: water. It is startling how much water is needed to brew beer. In 2015, Denmark's Carlsberg A/S used 3.4 liters of water for every 1 liter of lager produced. 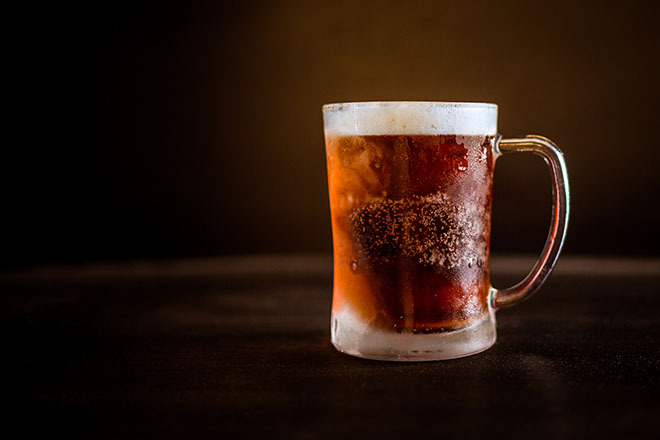 As much of the water is used to grow barley, the issue affects beer brewers much more deeply than other beverage companies. 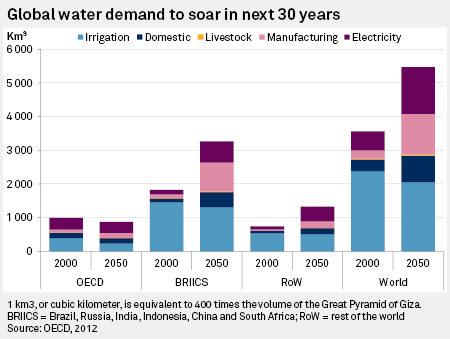 This comes as global water demand is expected to boom in the coming years. But as our report this week shows, brewers are alert to the risk and mobilizing. Carlsberg has cut that 3.4-liter figure to 2.5 liters and plans to reduce it to 1.7 liters by 2030. Anheuser-Busch InBev SA sends purified wastewater from its brewery in Bolivia to local farmers for free, a move it says facilitates water security for everyone in the region. Heineken NV has repaired dams, hired dozens of agronomists and grown barley among olive groves. "Governments may be surprised we take this responsibility. It's new for us, too," said Willem de Jonge, global director of sustainable development at Heineken. Though their motives are clear, it is encouraging to see brewers looking beyond their factory walls and taking on projects that can benefit whole communities. They will need to continue to ramp up their efforts to tackle this very present threat. Lord Adair Turner, co-chair of the Energy Transition Commission, says battery-electric technology is viable in buses and medium-size trucks, but a more creative approach is needed to cut emissions from the heaviest trucks on the road. The Italian automaker said its research and development costs for 2019 should be similar to 2018 but with more spending on new vehicles. The Society of Motor Manufacturers and Traders says the industry is already suffering from the impact of Brexit and has called on the U.K. government to avoid a disorderly departure from the EU, which would make the situation even worse. At some companies, online sales are split almost evenly between orders picked up in stores and those mailed directly to customers. "Chinese consumption growth is still strong, driven by a growing base of increasingly affluent young consumers," Alibaba CEO Daniel Zhang said on a conference call following the publication of the company's third-quarter results. The e-commerce company is betting on expanded advertising and payments to help drive revenue in 2019, 2020 and beyond, executives said Jan. 29. CFO Brian Olsavsky said Jan. 31 that the Seattle-based company has included the effects of the new law in its fiscal first-quarter guidance. Faced with increasing scarcity across the globe, beer-makers are taking aggressive steps to shore up water supplies for their breweries. Executives for the fast-food giant also issued new fiscal guidance for 2019 and beyond. Several groups told a U.S. government panel Jan. 29 that a free trade deal with the U.K. should include zero tariffs and a regulatory and tariff schedule less onerous than that of the EU. Should no trade agreement be reached with Japan, U.S. dairy producers could face vast losses in sales, the U.S. Dairy Export Council warned in a new report. The meal-kit company is predicting another drop in sales for fiscal 2019 so it is revisiting its production network and rolling out new products. The U.S. tobacco giant is also planning to lay off 900 employees as part of a plan to cut an expected $575 million in costs to offset expense from the investments, executives said Jan. 31. Consumer Edge is a weekly collection of critical developments across the automotive; retail; and food, beverage, and tobacco industries that draws on exclusive analysis and value-added content from the Consumer News team at S&P Global Market Intelligence.